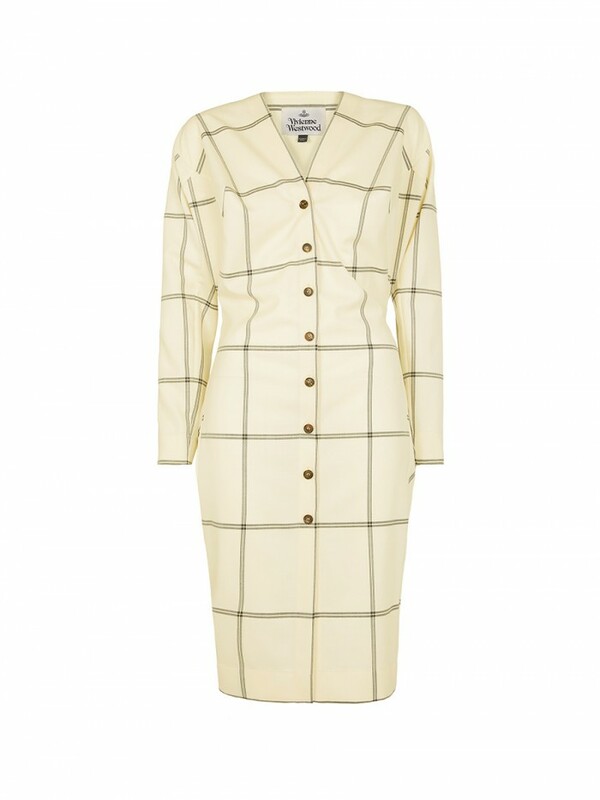 Vivienne Westwood Wilma Dress Chalk Check. Patterned in the Check Chalk pinstripe print, in off white, the Wilma Dress is constructed with detailed darts to the front and back for a structured ultra- feminine silhouette. Adopting a sultry v-neckline and crafted from pure Virgin Wool, this dress is finished with natural horn buttoning to the front.